Your child is never too young to learn about the meaning of the 4th of July. My educational philosophy is throw it out there and if it sticks great; if it doesn’t stick that’s great too. Each time your child hears the information it will make a little more sense and children are much smarter than we give them credit for. Make the 4th of July a great opportunity for a teachable moment by following a few suggestions that will work well with your child. Early map of north-east America, printed in England in 1795. Start here even though this is an abstract concept. It’s important to give context. Show your child a map of the world and have them draw a circle around England. Talk about the 13 original colonies while you have your child draw circles around the on the map. If you live in a state that was not one of the original 13 draw a circle around your state in a different color. Your child will now have a visual reference to the story and a concept of the ocean separating the nations. Put the story in a language your child can understand. Achieve this easily by abbreviating the key points. Your child already knows about Kings and Queens and they know there are rules that must be followed. Start telling the story with the King. Include these key points in your story. The King lived in England and he made all the rules. He made the rules for England and the 13 colonies. In the beginning the people living in the colonies thought that it was a good idea that the King made the rules. As time passed the people living in the colonies decided that they wanted to make their own rules. This made the King mad and he sent his soldiers to make the people in the colonies obey his rules. The people in the colonies fought back. Even though the King had many more soldiers the people in the colonies were smarter. They had a great leader named George Washington. The people in the colonies won the war. The 4th of July is America’s Birthday and the day we no longer had to obey the Kings Rules. We found some great children’s books using the alphabet to help children learn about the history of our country. 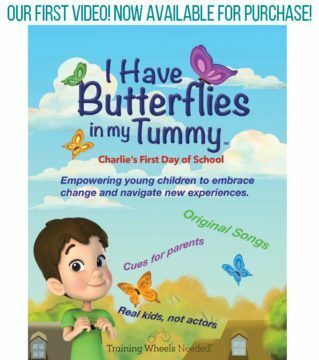 Authors Tanya Lee Stone and Wendy Cheyette Lewison make history come alive with stories geared for the young mind. I really love that rhyming words were used in her story telling. It is easy to understand and children will soon be able to repeat the rhyming couplets. Older children will enjoy Alice Dalgliesh’s book about the 4th of July with fantastic illustrations. It’s important for your child to understand the meaning of the American flag. Each symbol on the flag has meaning and its design has changed over the years because of those meanings. This is what our flag looked like when we were 13 states in 1777 compared to today’s flag. What colors are in the two flags? What shapes are in the two flags? What things are the same about the two flags? What things are different about the two flags? How many stars did the first flag have? How many stars does our flag have now? Teach your kid all about the flag and flag etiquette by taking a look at this wonderful site and then making an American Flag out of Legos. The simplest way to explain the flag is that it represents the American team. Each star represents a state in our country. When we see the flag it reminds us that we are the luckiest people in the world because we live in a country where we can decide together what rules we want to follow. We live in the best country in the world! Design your own family flag with your kids. It’s fun and a great learning activity. 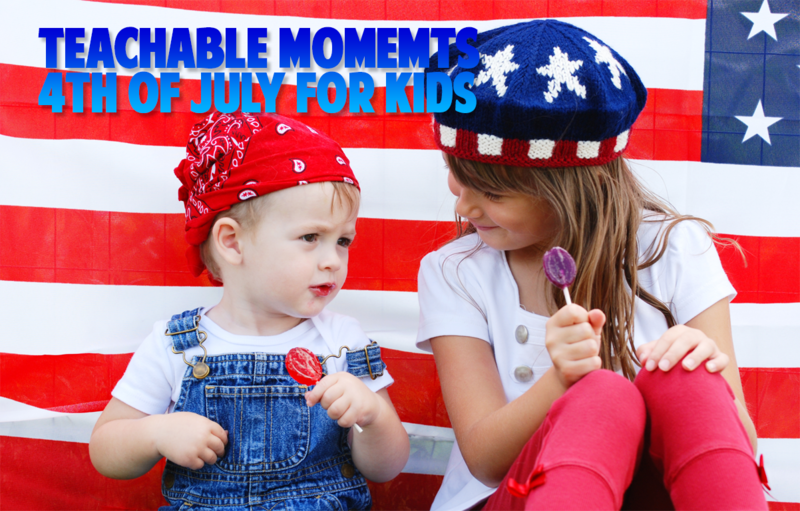 Don’t skip out on this national holiday being a teachable moment for the 4th of July for Kids. How do you celebrate with your kids? Pulling together a neighborhood 4th of July parade would be a great idea!